Miguel Hernandez Bravo, a 19-year-old Latino male, died Sunday, Nov. 18, after being shot in Downey, according to Los Angeles County coroner's records. Salvador Martinez Rivera, a 63-year-old Latino, was fatally shot Tuesday, July 10, in the 12700 block of Samoline Avenue in Downey, according to Los Angeles County coroner's records. Downey police investigators were called to Rivera's home shortly before 2 p.m. after a family member discovered him and his wife with gunshot wounds, said Sgt. Maria Villegas. Rivera was pronounced dead at the scene at 2:18 p.m., according to coroner's records. His wife, who has not been identified, was taken to a nearby hospital where she is listed in critical condition, Villegas said. Investigators believe the shooting was a murder-suicide, Villegas said, "and we believe the female was the aggressor, based on the way the bodies were found." Jaime Garcia Jr., a 29-year-old Latino, was fatally shot Saturday, June 30, at 9415 Firestone Blvd. 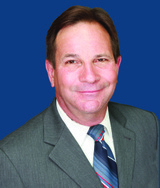 in Downey, according to Los Angeles County coroner’s records. Garcia and his younger brother, Ivan Garcia, 17, drove to Rick’s Motel that morning and got into an argument with one of the guests, Raymond Joseph Penland, according to Downey Police Sgt. Maria Villegas. Jose Luis Quintero, a 49-year-old Latino male, died Saturday, May 19, after sustaining blunt force trauma in Downey, according to Los Angeles County coroner's records. Jose Luis Sandoval, a 41-year-old Latino male, died Wednesday, Aug. 2, after being shot in Downey, according to Los Angeles County coroner's records. Richard Anthony Melgar, a 37-year-old white man, was killed Monday, July 24, in the 12200 block of Horley Avenue in Downey, according to Los Angeles County coroner’s records. At about 5:30 p.m., Downey police responded to call from a woman who found her boyfriend dead in her backyard, according to a news release. Within minutes, officers arrived at a residential property with a front and back house. In the backyard between the houses, Melgar was found with multiple stab and gunshot wounds. He was pronounced dead at 5:49 p.m., according to coroner’s records. In a subsequent investigation, detectives discovered that the girlfriend’s sister lived in the back house with her own boyfriend, the release said. Robert Joseph Benitez Jr., 31. Based on evidence at the scene, police said they believe Benitez was responsible for the killing. Maria Magdalena Figueroa, a 39-year-old Latina, was fatally stabbed Wednesday, May 24, in the 8300 block of Florence Avenue in Downey, according to Los Angeles County coroner’s records. Downey police responded at about 1:30 p.m. to a call about a woman stabbed in the area, according to Sgt. Tim Lau. Officers found Figueroa, from Maywood, suffering from several knife wounds, Lau said. Figueroa was transported to a local hospital where she died at 1:55 p.m., according to coroner’s records. Witnesses at the scene told detectives that Figueroa was stabbed by her ex-boyfriend, Anthony Jesus Ramirez, 39, who fled the scene and was involved in a traffic collision nearby, according to Lau. Officers arrested him at the accident scene. On May 26, prosecutors charged Ramirez with murder and assault with a deadly weapon. Jim Rudometkin, a 59-year-old white man, was killed Sunday, Jan. 17, in the 10300 block of Lesterford Avenue in Downey, according to Los Angeles County coroner’s records. Downey police were called to a home at 11:13 a.m. after a neighbor reported seeing two men talking to Rudometkin near the side door of his home, then forcing him inside, said Sgt. Kevin McCaster. A third man entered the home a short time later. As officers arrived, police received another report of three men jumping over the fence behind Rudometkin’s home and running away. When officers entered the home, they found Rudometkin bound and unresponsive, The Times reported. Rudometkin was pronounced dead at the scene at 11:58 a.m., according to coroner’s records. Irving Giovanni Araujo, a 29-year-old Latino, was fatally shot Wednesday, Dec. 23, 2015, in the 12000 block of Downey Avenue in Downey, according to Los Angeles County coroner’s records. The incident began at 5:24 p.m. when the Downey Police Department received 911 calls about shots fired in the parking lot behind a large apartment complex, Sgt. Kevin McCaster said. Shortly thereafter, the department also received reports about a gray Toyota Yaris that collided with parked cars near the shooting scene. When officers arrived, they found Araujo lying in the parking lot, McCaster said. Araujo, who lived in Los Angeles, was pronounced dead at the scene at 5:26 p.m. with multiple gunshot wounds, including one to the head, according to coroner’s records. Ricardo Galvez, a 29-year-old Latino, was shot and killed Wednesday, Nov. 18 near 10911 Brookshire Avenue in Downey, according to Los Angeles County coroner’s records. 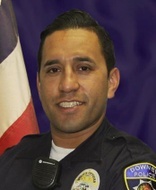 About 11 p.m., Galvez, a Downey police officer, was sitting in his BMW in the police department’s parking lot when two gunmen opened fire on him at close range, according to authorities. Galvez had just returned from a police dog training session about a mile away. Investigators said the attack was a botched robbery by assailants who didn’t realize that Galvez was a police officer, according to Lt. John Corina of the Los Angeles County Sheriff’s Department. Baby Boy Hernandez, an unborn Latino, was pronounced dead Sunday, Oct. 25, after his mother was found dead in the 7300 block of Neo Street in Downey, according to Los Angeles County coroner's records. Police were called to the scene about 8 p.m. on Oct. 21 — an apartment the baby's mother, Reyna Hernandez, 26, shared with her boyfriend, Nicholas Christopher Quezada, 29, and their 1-year-old son, Jude Christopher Quezada, said Downey Police Lt. Mark McDaniel. All of the family members were dead. Reyna Hernandez was found in the bathroom with her toddler son. Both were in the bathtub, which was filled with water, McDaniel said. Reyna Hernandez, a 26-year-old Latina, was found dead from forced drowning on Wednesday, Oct. 21, in the 7300 block of Neo Street in Downey, according to Los Angeles County coroner’s records. Family members called police about 8 p.m. after they went into the apartment Hernandez shared with her boyfriend, Nicholas Christopher Quezada, 29, and their 1-year-old son, Jude Christopher Quezada, and found all three dead inside, said Downey Police Lt. Mark McDaniel. Coroner’s records said Hernandez died from forced drowning and her son died of “asphyxiation—homicide.” Hernandez’s unborn child, a boy, was discovered during her autopsy on Oct. 25, and pronounced dead then, said the coroner’s Assistant Chief of Investigations Ed Winter. Eddie Junior Tapia a 41-year-old Latino, was shot and killed by sheriff's deputies Thursday, Sept. 10, in the 9200 block of Lakewood Boulevard in Downey, according to Los Angeles County Sheriff's Department homicide investigators. Deputies shot Tapia after he held people hostage for about an hour in a Chris' and Pitt's BBQ restaurant, according to the release. Tapia was considered a person of interest in the shooting of his acquaintance, Rocio Lissette Vasquez, a 46-year-old Latina who lived in East Los Angeles. Vasquez’s body was discovered by firefighters around 6:45 a.m. as they were putting out a fire in her home, according to a statement from the sheriff’s department. Her badly burned body was found on a futon in one of the bedrooms, where the fire started.